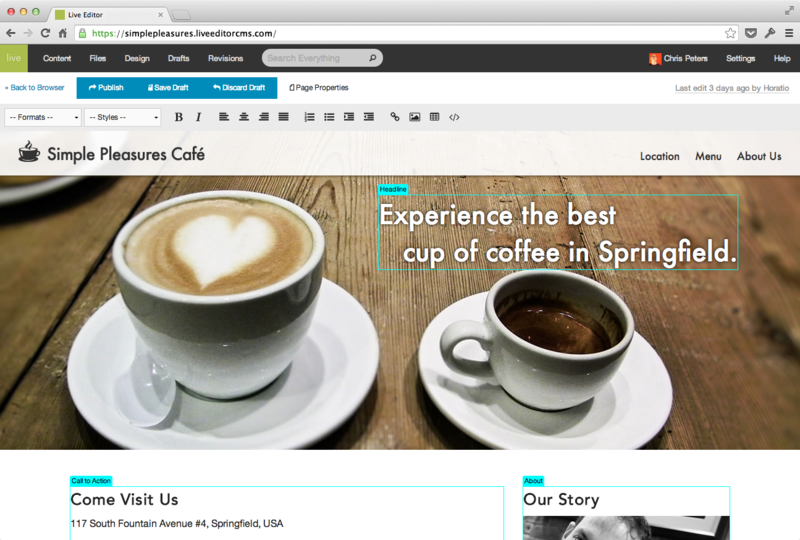 A cloud-based content management system that will help you create great websites. An inline web content editor that you, your clients, and your coworkers can understand. Or see the list of features. Content editors: edit content visually and drag and drop media directly onto the page. Enjoy a truly intuitive editing experience. Designers: stay in control of your website design using the tools that you’re comfortable with. Maintain the integrity of your design by defining editable regions within your layouts. Developers: integrate with the content management system via our JSON API v1.0-compliant API. Edit your web content directly on the page. Leave the guesswork out of how your changes will appear when you click that Publish button. What you see truly is what you get. Many CMSes force you to change the tires on a moving car. With Live Editor, you’ll be able to save changes as drafts, publish, and keep a log of who changed what, and when. 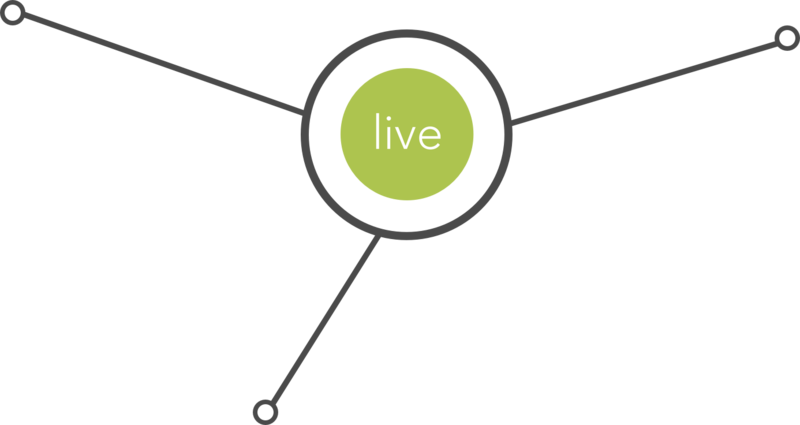 When you change or delete a page on your site, Live Editor helps you make smart decisions about any links that you have pointing to it. The same goes for image and file links. Visually craft metadata that increases your site’s visibility and effectiveness in search engine results. Keep your site safe from mistakes that keep it from placing well in search engines like Google.